What Are The Types Of Thread Detection Methods? Here is Metal Prototyping Service Manufacturer talking about What are the types of thread detection methods. 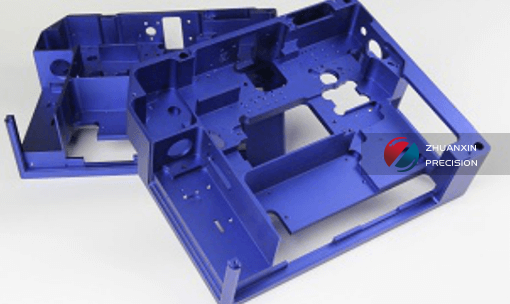 If you have any idea about Metal Prototype Fabrication, welcome to contact us and discuss. This method of detecting threads is relatively traditional and is a relatively large method of use. When detecting the thread, first use the through the end. If the end of the gauge can pass, the end cannot pass. In theory, the threaded workpiece meets the requirements. The method of measuring the diameter of the thread by the measuring needle is called the three-needle (double needle) measuring method. When detecting the thread, the measuring needle of the same diameter D is placed in the groove of the thread, and the size M is measured by the micrometer. These two measuring needle detection methods are mainly used to measure whether the middle diameter of the thread is correct, but the diameter of the thread itself has tolerance, so the detected result also has a certain deviation, and the accuracy is not very high. This method uses a thread micrometer to detect the median diameter of the threaded workpiece. The triangular thread is generally measured. The detection method is the same as the outer diameter micrometer. There are two contacts with the same thread angle, one is a cone and the other is a groove. Measuring contacts of different distances are available for different profile angles and pitches. When detecting the thread, adjust the two contacts of the thread micrometer to the position, just to catch the threaded surface of the thread, and the obtained parameter is the actual size of the diameter of the thread. SJ5200 thread integrated measuring machine can automatically measure thread gauge or threaded workpiece. The tester only needs to install the thread to be tested. Select the size, parameter, and range of the thread to be tested on the verification software. Click the start button and the system can be fully The test is automatically completed and the profile of the thread profile is displayed in real time. The system calculates the thread parameters such as large diameter, medium diameter, small diameter, tooth angle and pitch, and judges the parameters of the thread to be tested according to the system of thread standard database. The measurement process is 2 Completed in minutes, the measurement results are automatically generated after the test is completed for the user to view the print. For more information about Stainless Steel Parts Prototype, please contact 2077921366@qq.com or call us.